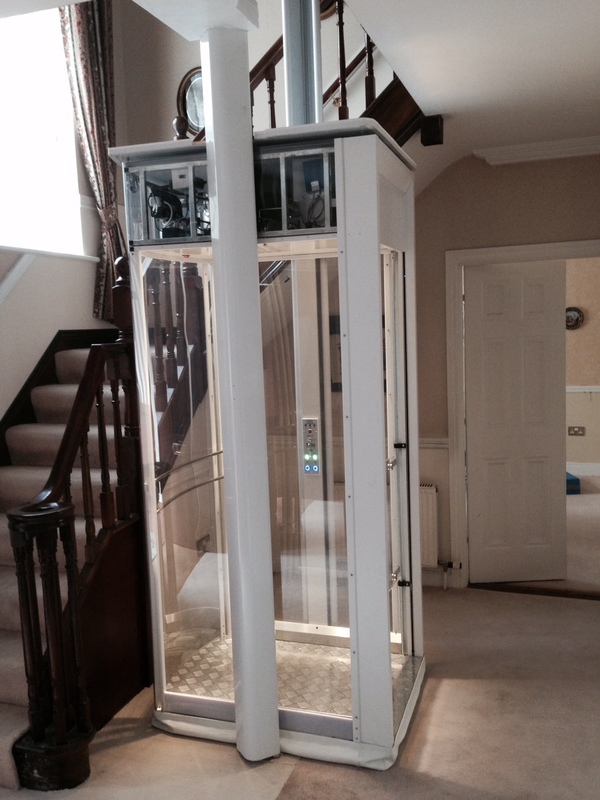 When our clients daughter seen NSN Home Lifts display at the ideal home exhibition she immediately seen the advantages the Trio home lift would offer her mother. 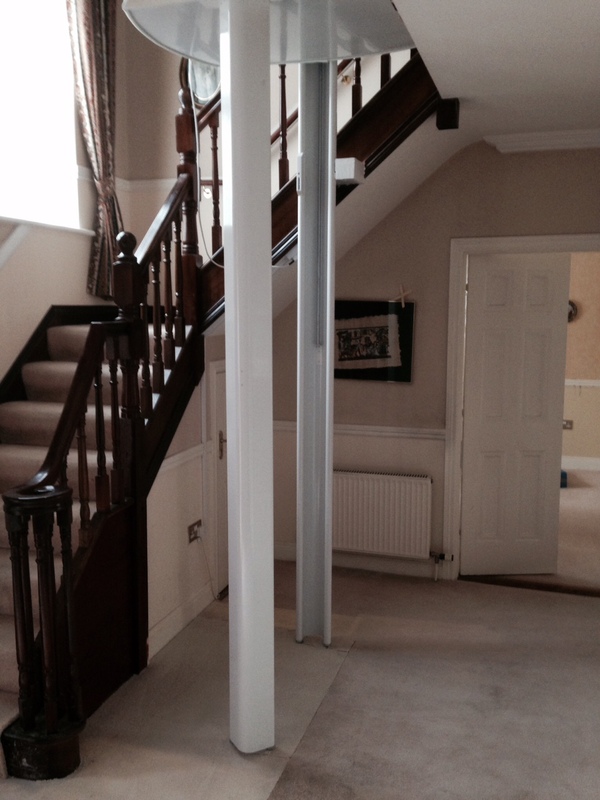 NSN Home Lifts visited the client’s home and conducted a free no obligation site survey and the conclusion from all involved was that the dead space in the stairwell void would allow for a perfect application to move forward with. This application is possible due to the unique dual rail and electric motor drive system. 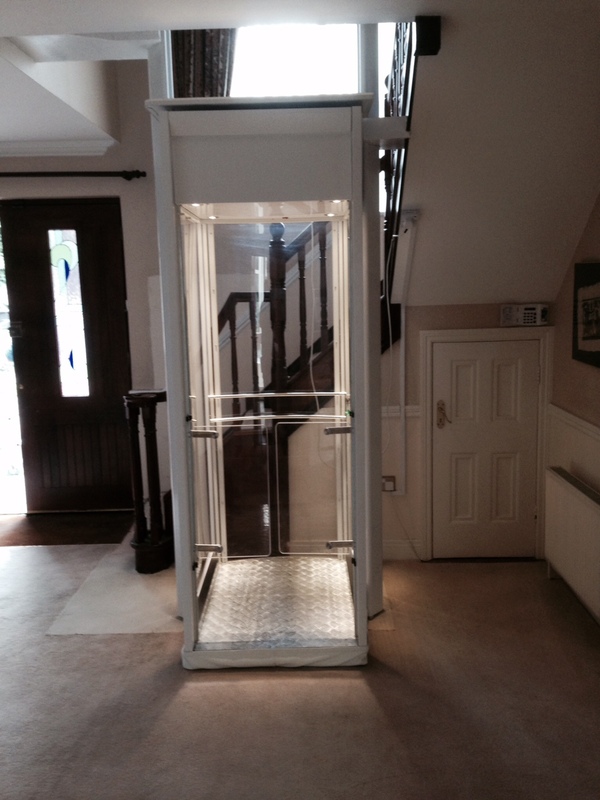 No other through floor lift on the market can offer this solution. 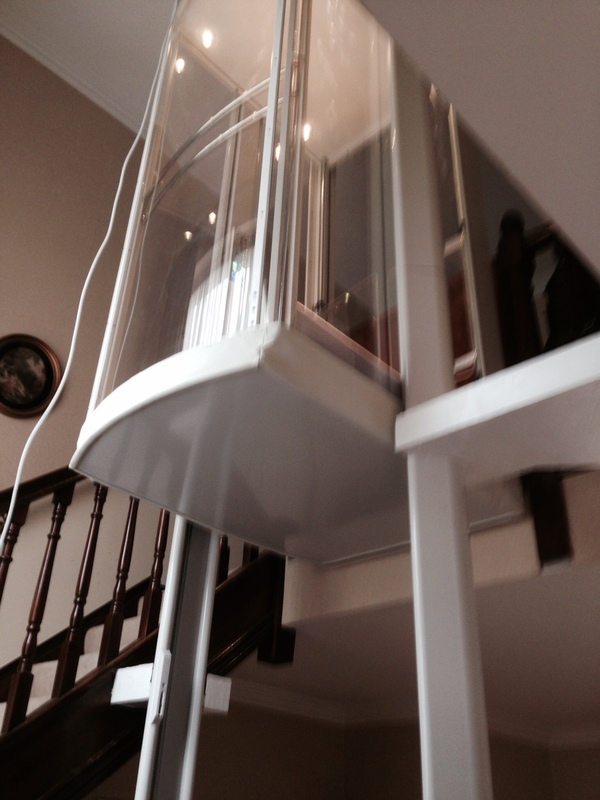 The Trio Vista Home Lift was then chosen by the client as when the lift was in the up position the clear surrounding of the Trio Vista would allow the light from the hall window to illuminate through the lift and provide light to the upstairs landing and is also extremely astatically pleasing on the home. 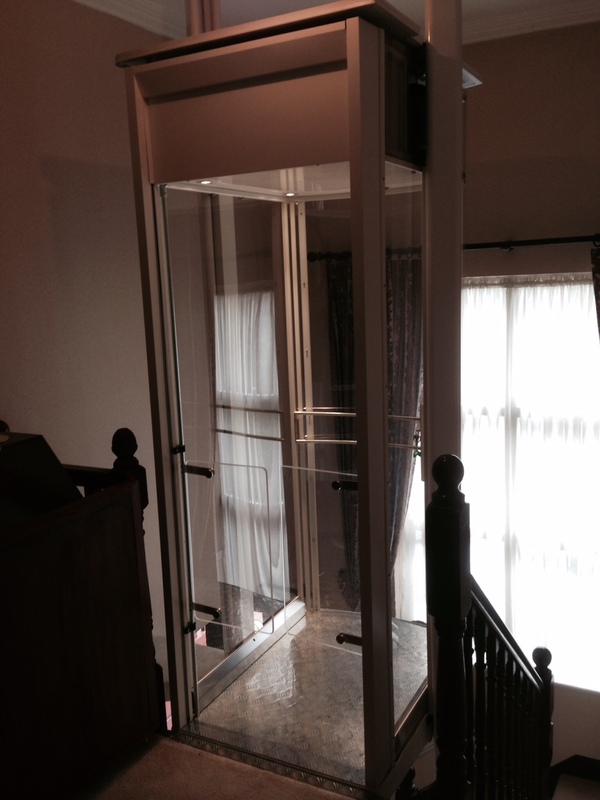 The Trio Vista Home lift design allows for three people or a standard size wheelchair. 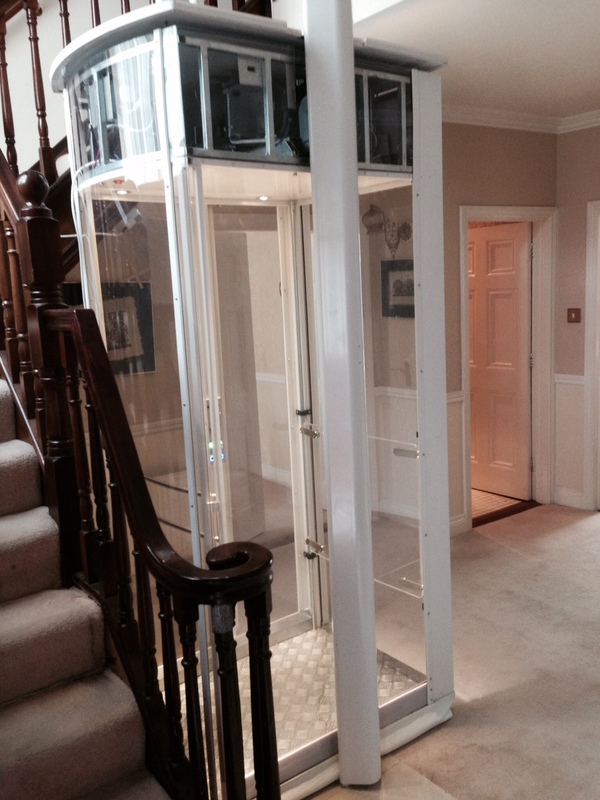 The stairwell void application allowed for the Trio Vista Home Lift to be installed in the entrance hall of the home and allow access from the upstairs landing area of the home. 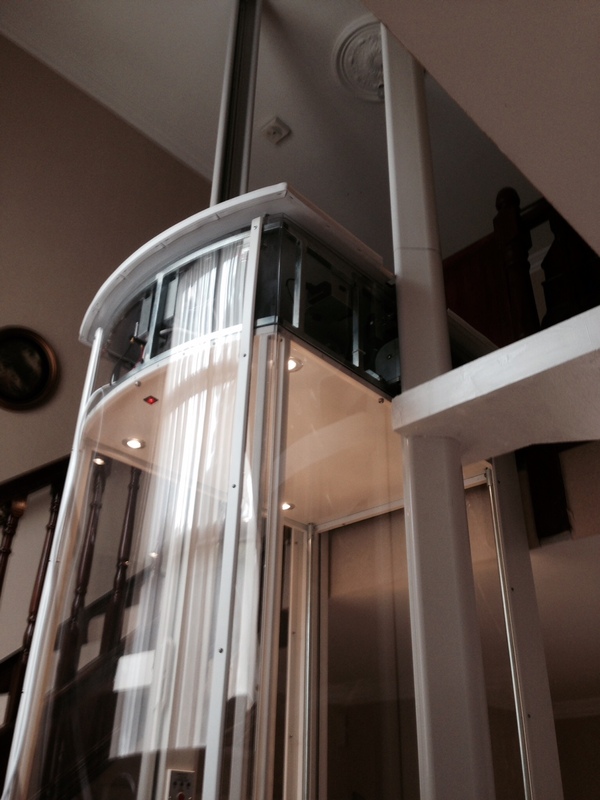 The stairwell void application suited the client perfectly, the Trio Vista Home Lift looks outstanding in the clients home and allows the Trio Vista Home lift specific design features to flourish.